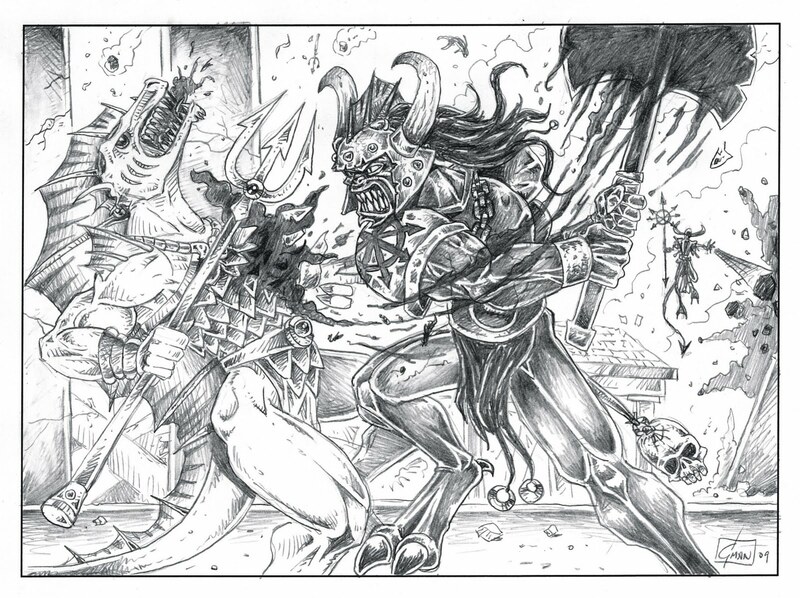 The Nauticans for Warhammer Fantasy Battle: No Nautican Tsunami but the Ocean taps are being turned on ! No Nautican Tsunami but the Ocean taps are being turned on ! My Nautican fantasy plans to race to the finishing line with a final last surge in army book updates has been thwarted by the lack of free Warhammer weekends recently. So, rather than trying to find a free weekend to complete the latest draft I am going to drip feed the army updates as and when I get time. I have a lot of tweaks, amendments, deletions and new items to add. Most changes relate to the magic items list which I'm attempting to make more selectable. As a result some item points costs and magic item powers have been reduced. I am also simplifying some items and making some additions and withdrawing some items and units. I'm still planning to overhaul the way Nauticans use magic but this might have to wait for a future draft because I plan to turn this latest draft into a pdf in time for Christmas. PS. 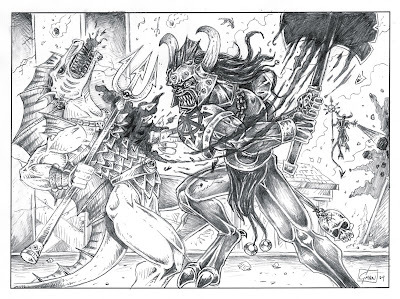 The image of the Nauticans battling an incursion of Chaos was drawn by Gareth Pannan who has created nearly all of the artwork for the Nautican Army. Thanks again Gareth.